I had told you that the previous post was to be continued, because I still had to show you what I was wearing underneath my Balenciaga coat ! Well, some of you guessed the color of my outfit right, maybe also because lately I have an obsession with the trendiest color of the season: burgundy color ! I was wearing an oxblood dress from H&M, indeed ;). 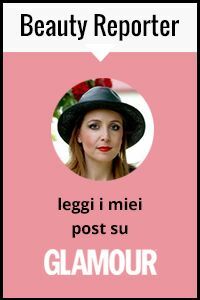 Vi avevo preannunciato nel post precedente che sarebbe continuato perché non vi avevo ancora mostrato cosa indossavo sotto al mio cappotto di Balenciaga ! Beh, alcune di voi hanno indovinato il colore dell'abito, probabilmente facilitate dalla mia ormai nota ossessione per il colore più trendy della stagione: il bordeaux, o burgundy, oxblood, vinaccio, chiamatelo come preferite ! Indossavo un abito bordeaux H&M, infatti ;). The oxblood dress from H&M is sleeveless, so I matched an oxblood top to make it warmer and also added a studded Zara necklace and a soft leather belt to spice it up !. I personally love the black and burgundy combo and I can easily see myself wearing this outfit also both for the office and for a drink at the club, it depends on the accessories I use ;). L'abitino di H&M è smanicato, io ho aggiunto un top di Subdued dal colore molto simile sotto per renderlo più caldo e ho aggiunto una cintura legata in vita e una collana borchiata di Zara per movimentare il look !. Personalmente amo questa combinazione di burgundy e nero e posso facilmente sfruttare un look del genere in ufficio così come per una serata in un locale, a seconda degli accessori usati. In the pic above you can see details of my beloved bag and most of all of my fave nail polish of the moment: Merino Cool from Essie. This is a perfect color for winter, I think !. The cuff is not a Hermès cuff but it's nice anyway, it's from Juicy Couture ;). I am very anxious to prepare my Christmas tree, here in Italy we usually decorate it on 8th december...in a few days my flat is gonna be full with lights and holiday decoration, can't wait ! Have you already set up all your Xmas decoration ?. Nella foto sopra potete vedere in dettaglio la mia adorata borsa e soprattutto lo smalto che preferisco al momento: Merino Cool di Essie. E' un colore perfetto per la stagione invernale e lo adoro !. Il bracciale non è il famoso cuff di Hermès ma è molto carino ugualmente, è di Juicy Couture ;). Il mio anello BVLGARI BZero è sempre con me, lo adoro ed è difficile per me separarmene, sebbene sia un peccato perché avrei altri anelli da indossare e mi impedisce di portarne altri vistosi alla mano destra ;). Sono ansiosa di preparare l'albero di Natale che, solitamente in Italia si addobba l'8 dicembre...tra pochi giorni casa mia diventerà un tripudio di luci e decorazioni varie...voi avete già preparato tutto ?. Probabilmente te l'ho già detto : questo colore ti sta proprio bene ! you look stunning! i love that dress. Love your dress, great color! Beautiful outfit - I love the way you accessorized it. I like the dress so much and the necklace is really beautiful. was looking on for a coat, but on a closer look, saw that how perfectly the sleeves blend with the color of ur dress.love that bracelet too..
amazing dress!!! you look fabulous! Looking gorgeous my dear - I love the colour of the dress! ohh quanto adoro quel colore!! pensa che vorrei usarlo per alcuni parti del muro di casa nuova :D!! comunque ti dona davvero! anche l'outfit completo è elegantissimo!! that oxblood color is absolutely divine on you!! Love how you cinched your waist with the obi belt!! gorge! E vai che ci avevo azzeccato!! Molto bello il vestito, lo smalto non l'ho ancora visto! Absolutely love this burgundy color! And this bag...AMAZING! vale, the collar is so unique! i thought the dress was long sleeves until i read it was sleeveless and that's your blouse underneath. it's a perfect match. i thought i saw your pink lit tree on facebook. are you going to show us when it's all decked out? I am following you for a long time. Could you follow back? your blog is amazing :) i like your dress! follow you! I love your blog! Thank you for visiting mine - sure we can follow each other! I'm following you via GFC and Bloglovin, hope you do the same! Really beautiful. I also love this color! I love LOVE the wrap around the waist. So beautiful! Your blog is so cute. I love H&M, and your dress is very nice. Thanks for visiting my blog. If you have Facebook, I have a group there and i'd like you public yours posts there. The link is in the blog. Wow what a stunning dress! Speechless! un bacio e buona serata!!! i'm really liking oxblood this season too!